Patch 2.3 is now live for Star Wars: The Old Republic. The Titans of Industry patch, as named by BioWare, will allow players to explore a new level 55 Daily mission area along with two associated level 55 Flashpoints. Here are some highlights. Both new Flashpoints will feature the all-new role-neutral Story Mode, where the Group Finder will match the first four players of any role for fast queue times! Level 55 Hard Mode is also available for the new Flashpoints. Tauntaun Creature Mounts! Head to Hoth, where players will find the Tauntaun Trainer and Tauntaun Handlers in Aurek and Dorn Bases. New Companion Character! Treek can now be obtained as an additional Companion Character via the Cartel Market or Legacy Vendors in the new Cartel Bazaar hangar of the Fleet! Cost is 2,100 Cartel Coins or 1,000,000 Credits. 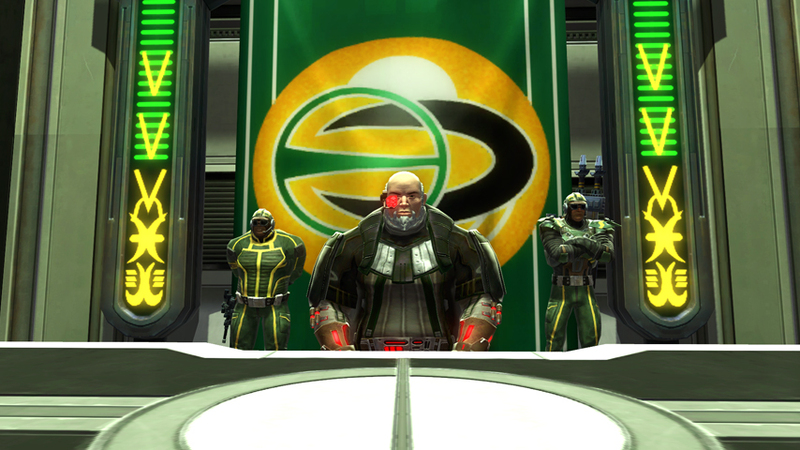 New Event: Bounty Contract Week! Each month, players can undertake contracts and pursue dangerous criminals throughout the galaxy! Adventures begin on Republic and Imperial Fleets with a mission given by mysterious Bounty Hunters who are toting a “friend” encased in Carbonite. The first Bounty Contract Week begins on August 14th. PvP, Alderaan Civil War. This Warzone has been updated, and now capturing the side turrets (Objective Control Points) will not spawn a speeder that takes your team directly to that turret. Head over to the official site for the full patch notes.